To compare the diagnostic accuracy of sonographic features with ultrasound-guided fine-needle aspiration (FNA) cytology in the detection of malignant thyroid nodules. This analytical cross-sectional study was conducted on patients with the diagnosis of thyroid nodule, who underwent ultrasound-guided FNA in Shahid Beheshti teaching hospital, Babol, northern Iran, between 2015 and 2017. The characteristics of the nodules obtained from ultrasonography were recorded. Regression analysis was used to assess the relation between sonographic findings and malignancy. We also used a receiver operator characteristics analysis to estimate the ability of ultrasound to predict the characteristic features of malignancy, as estimated by the area under the curve. In total, 898 thyroid nodules were included in the study, of which 55 (6.1%) were malignant and 843 (93.9%) were benign. There were significant positive associations between malignancy and hypoechogenicity [odds ratio (OR) 3.577, 95% confidence interval (CI) 2.045–6.256], fine calcification (OR 5.849, 95% CI 2.642–12.949), irregular margin (OR 4.366, 95% CI 2.284–8.345) and taller-than-wide shape (OR 5.199, 95% CI 2.125–12.721). The overall accuracies of hypoechogenicity, irregular margin, taller-than-wide shape and fine calcification were 0.804, 0.729, 0.705 and 0.575, respectively. 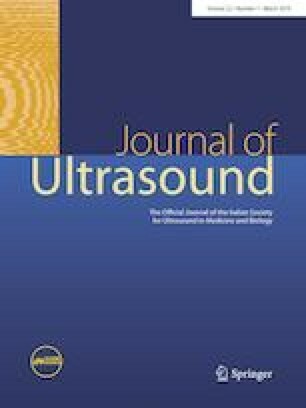 According to the present study, the use of ultrasonography (along with ultrasound-guided FNA) is very effective in the diagnosis, follow-up, and indication for surgery of a thyroid nodule. We would like to thank the Vice Chancellor for the Research of Babol University of Medical Sciences for financial support. We are also thankful to Dr. Kourosh Movagharnejad for his help in cytological assessments. This study was funded by the Vice Chancellor for the Research of Babol University of Medical Sciences (grant number 9603612).